The scholarship programme are open for foundation programme and undergraduate programme. Eligible candidates will be shortlisted and assessed prior to final selection. Recipents of this scholarship would be sponsored to pursuing foundation programme locally to prepare for undergraduate enrolment at top International based universities. e) Complete Diploma programme with minimum CGPA of 3.5 and above at recognize College or Universities and be accepted to the 1st degree Programme at any local or international university. f) Not presently holding other scholarship / loans. Management: Accounting, Finance, Economics, Business Administration, Marketing, Commerce, Law and Airport / Aviation Management. 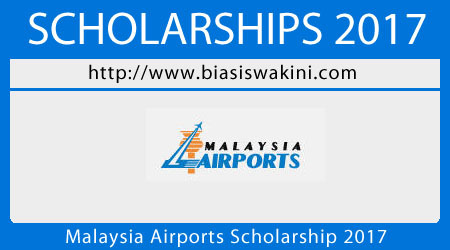 0 Komentar untuk "Malaysia Airports Scholarship 2017"